Russia’s space corporation Roscosmos is not going to pay NASA for the accommodation of an astronaut from the United Arab Emirates on the US segment of the ISS, Roscosmos’s executive director for manned programs, Sergei Krikalyov, told TASS on Monday. 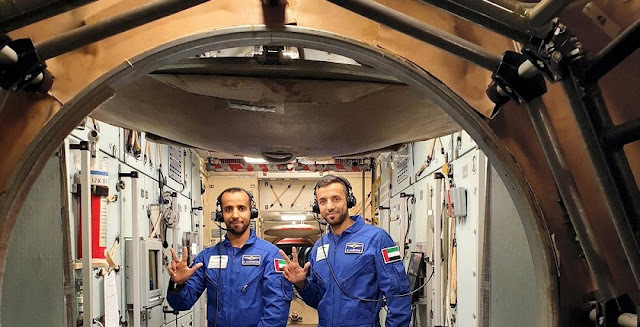 Earlier, some media said that the UAE’s astronaut might be accommodated at the US segment and Russia would pay for the service. "This in information has nothing to do with the reality," Krikalyov said. Roscosmos chief Dmitry Rogozin said earlier the corporation had held talks with the Mohammed Bin Rashid Space Center in Dubai to agree on a program for flights by UAE astronauts to the ISS. The contract on preparing for and organizing the first UAE astronaut’s flight to the ISS was signed between the UAE’s space center and Roscosmos in 2018. Military air pilot Hazza al-Mansouri and IT engineer Sultan Al-Neyadi were selected. One of the two will go on a space mission, while the other will stand by. The UAE’s astronaut will stay on the ISS for about a week. Originally the flight was scheduled for April 2019, but last year’s failed launch of a Soyuz-FG rocket caused an indefinite postponement. No official date has been named yet.